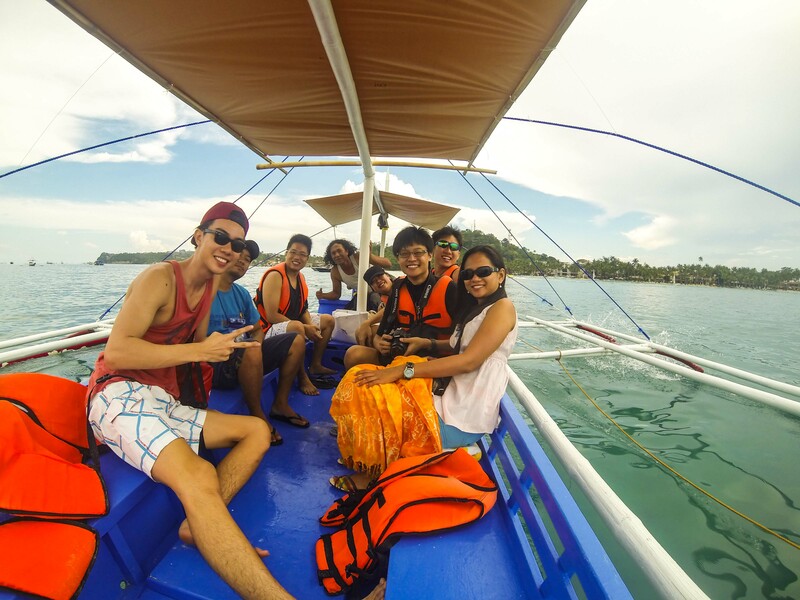 If you are looking for a perfect destination for a beach vacation, consider putting Boracay on the top of your list! 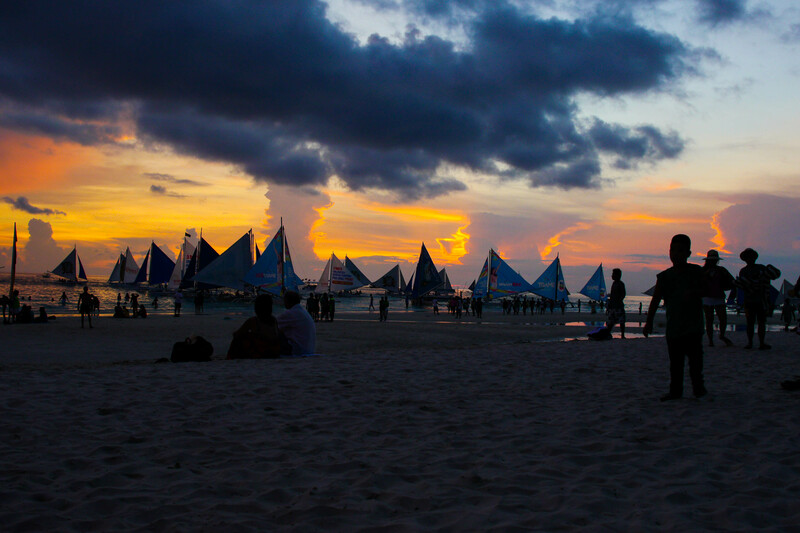 Boracay is named the World’s Best Island in Travel & Leisure Magazine for getaways in 2012 and came in second in 2013, beating Galapagos Islands, Bali and the Hawaiian islands in the beach destination race. Fast forward to 2017, it was voted the World’s Best Island among Readers Choice Awards. With white sandy beaches and crystal clear waters, Boracay offers you the picturesque views you often see in awe-inspiring travel magazines. 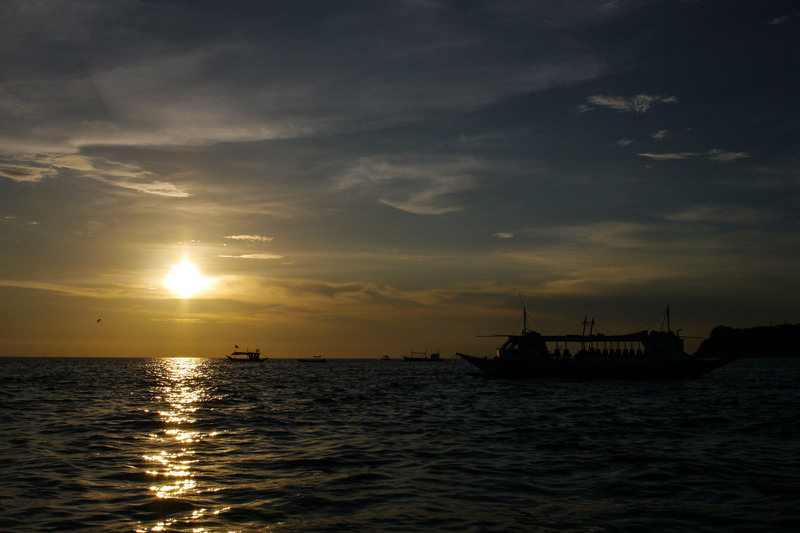 It is located Southeast off Manila, the capital of Philippines. 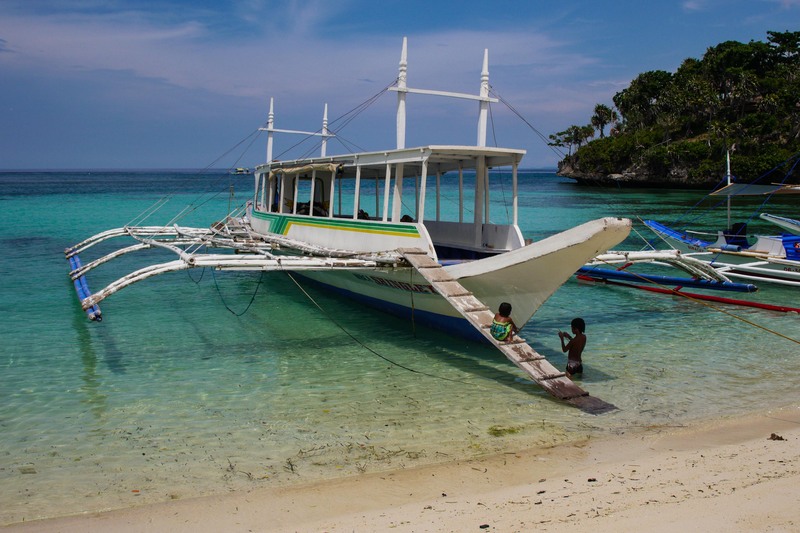 Philippines is well-known for it’s thousand islands and Boracay is one of those you can’t miss. 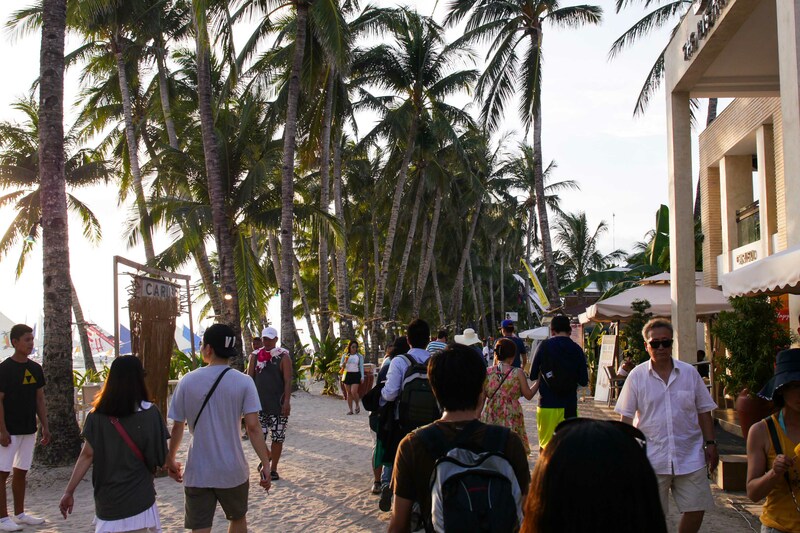 The best time to get to Boracay is from December to May. The monsoon period starts after June when it gets rainy and the waters get choppy. 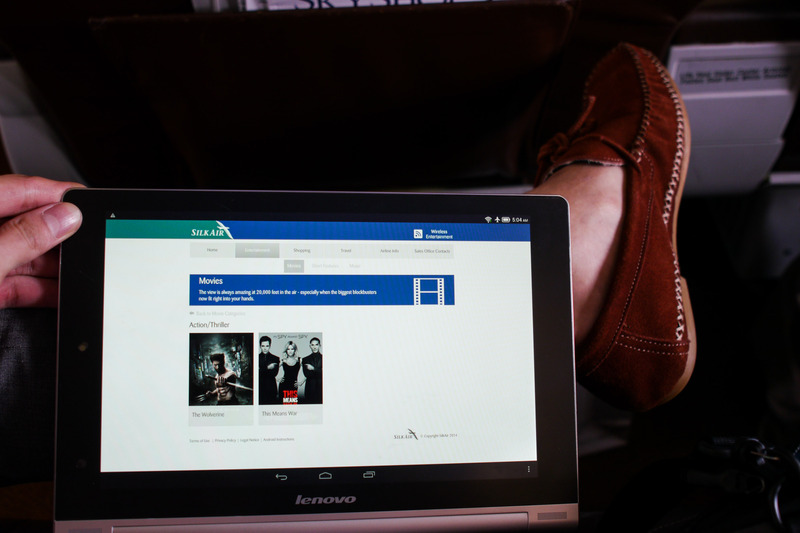 However, that is also the period when it is off-peak and you can get really good deals. 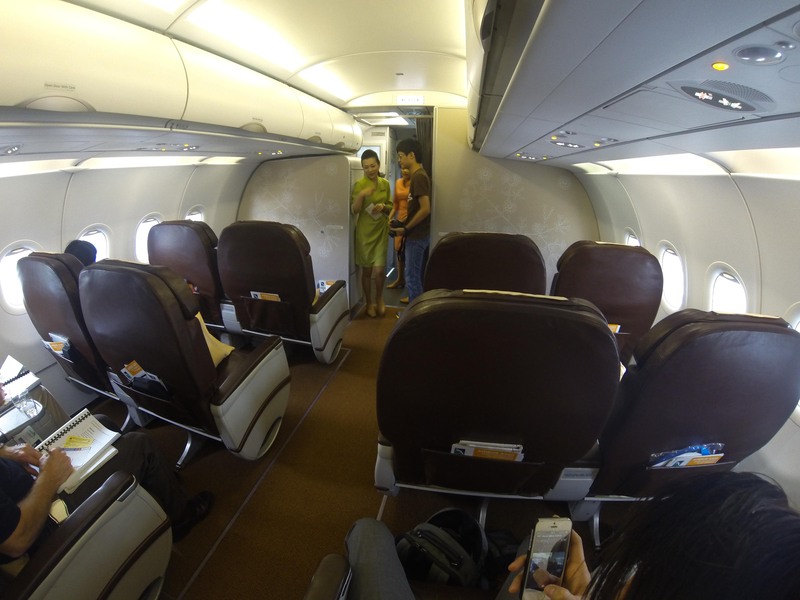 Tigerair flies from Singapore to Kalibo (Boracay) three times weekly. 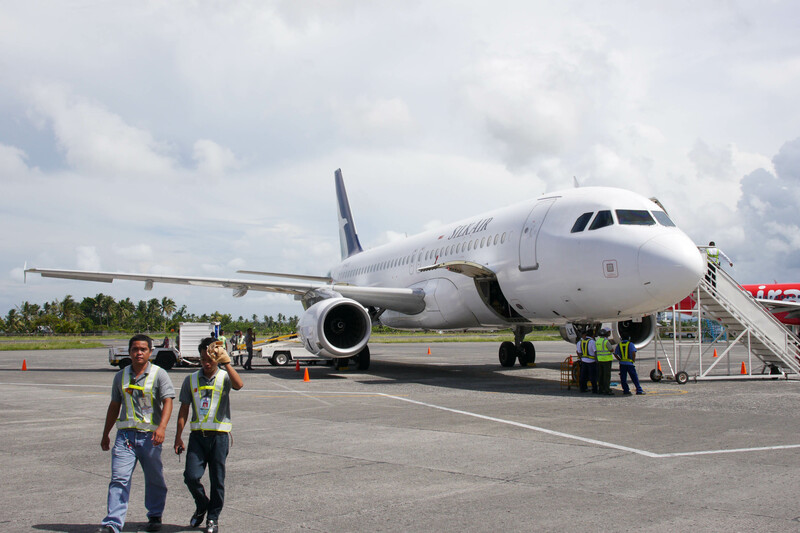 If you are looking for something that offers more comfort, check out the newly launched SG-Kalibo flights by SilkAir. 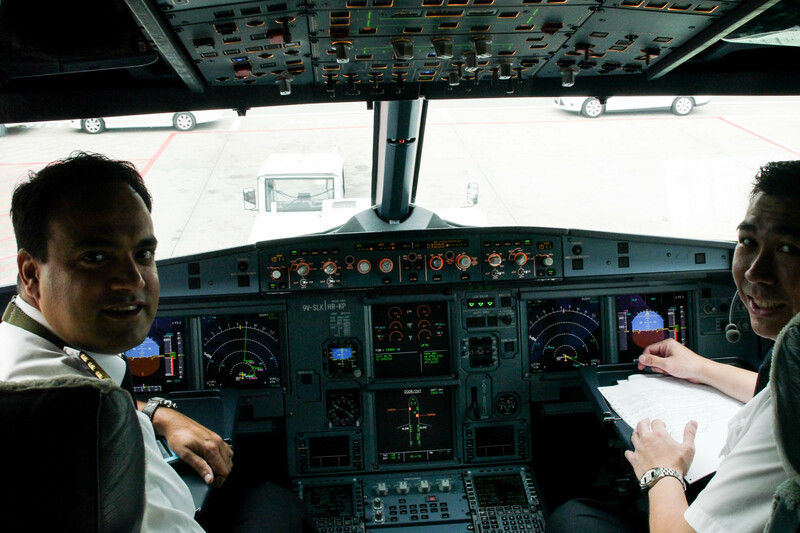 Flight time is around 3.5 hours. 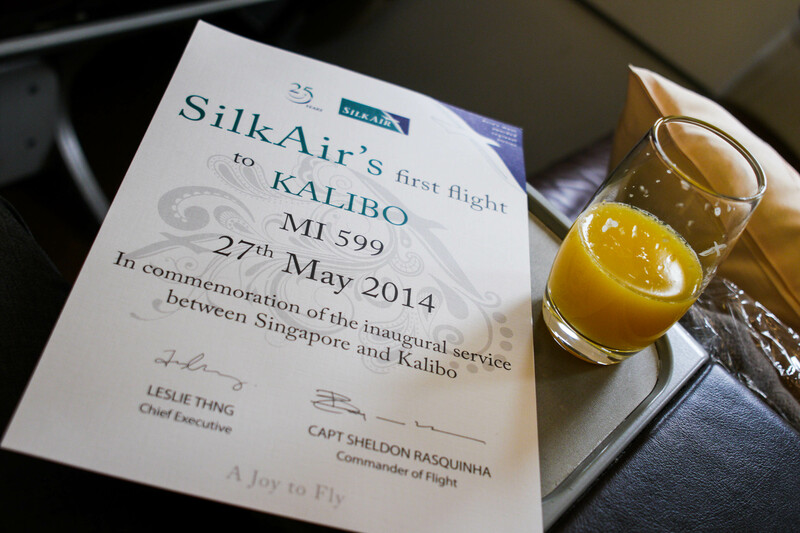 I had the opportunity to fly on SilkAir inaugural flight to Boracay launched on 27th May 2014. 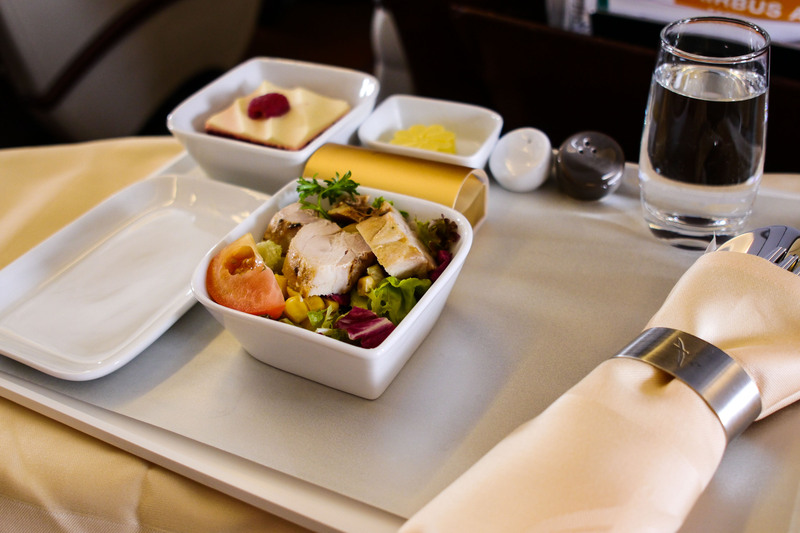 I think it is a very worthy option if travellers are looking for more perks and extras. 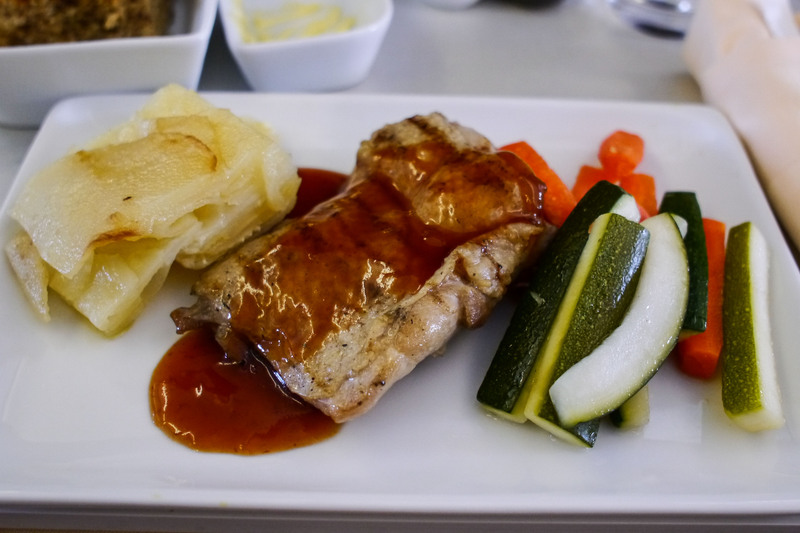 Check out my review on SilkAir Business Class from SG-Kalibo. Various land transfer is available from Kalibo International Airport to the Caticlan Jetty where you take a 15 minutes ride to the island. Don’t worry about finding your way to the island because there are many transport vendors at Kalibo International Airport offering to take your there. 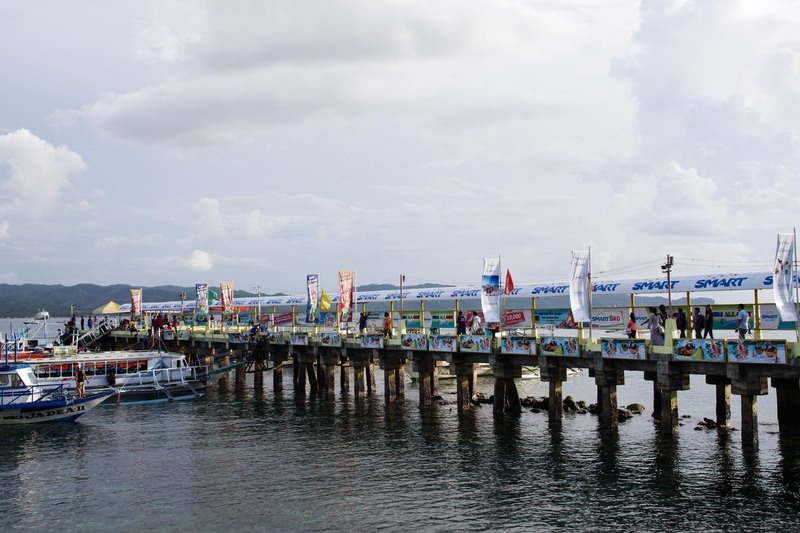 It costs around PHP 200 for the ride from the airport to the jetty, and another PHP 200 for the boat ride to the island, which is inclusive of the environmental fee (PHP 75) and Caticlan Jetty terminal fee (PHP 100). 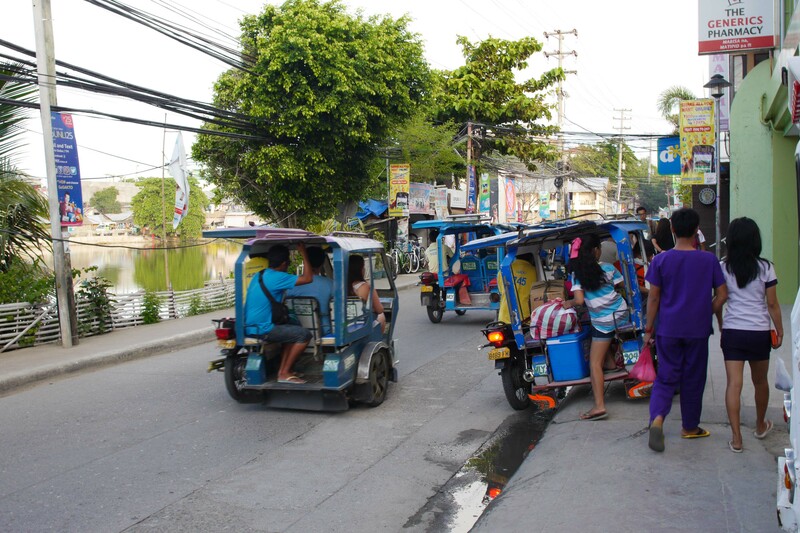 Upon arrival at the island, you can hire a tricycle to take you to your accommodation; the average rate is PHP 100, depending on the location of your accommodation. However, do note that some hotels do offer transport as part of their packages. There are different kinds of accommodation, ranging from hostels to 5-star resorts. Family run guesthouses offer private rooms starting from PHP 500, the cost per person reduces when you share the room with friends. Beachfront resorts or hotels start from PHP 12,000, perfect for honeymooners on their romantic getaway. Here’s the front view of The District, my hotel during my time in Boracay. 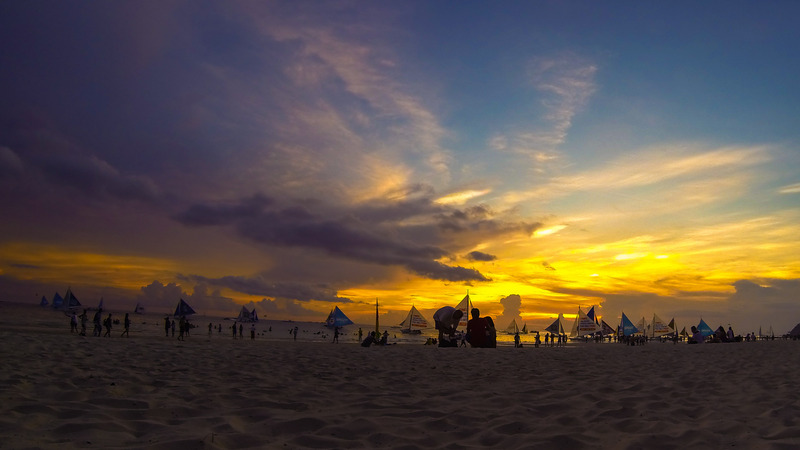 A minimum of 3 days is needed to fully experience what Boracay has got to offer. I would say the ideal period of stay is 5 days to really soak in the beach vibes and get sun-kissed. 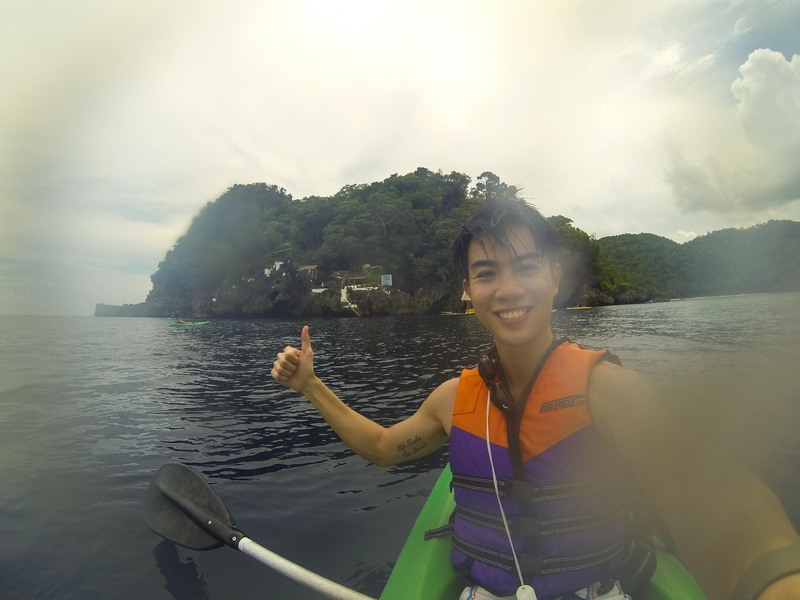 There are all kinds of water activities; para-sailing, fly-fish, snorkeling, kayaking and cliff jumping are some good examples. 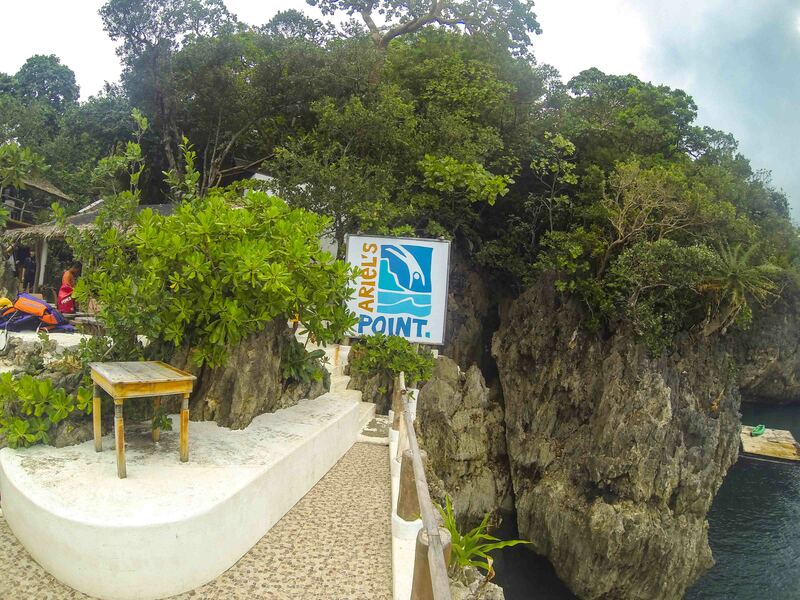 A lot of people flock to Ariel’s Point to do the famous cliff jump. 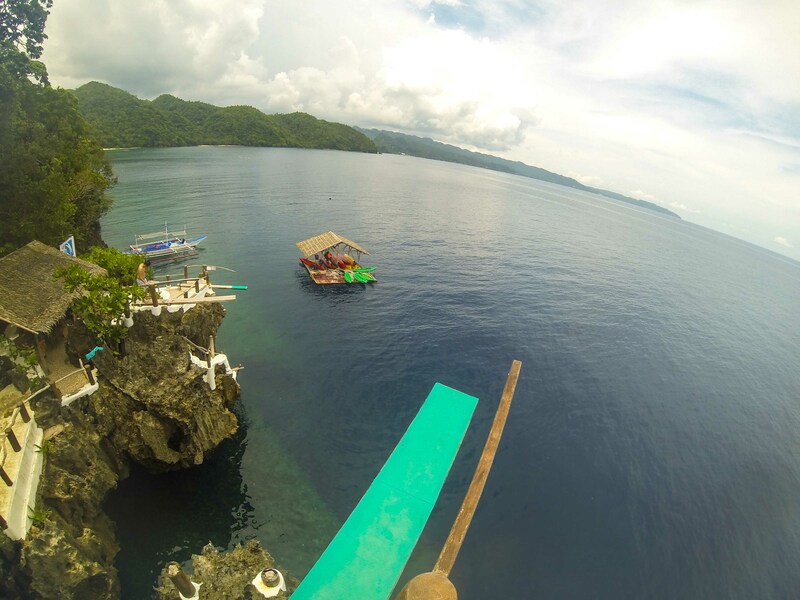 Packages start from PHP 1,500, depending on season. 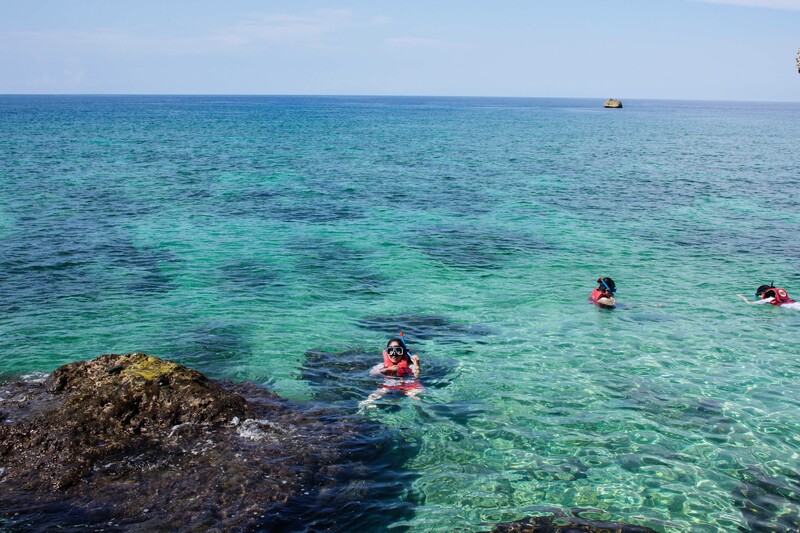 These packages include unlimited cliff jumps, kayaking, snorkelling, unlimited non-alcoholic and alcoholic drinks (you might need them to muster up the courage for the highest 15m cliff jump). I would say Ariel’s Point would be my favourite of all activities because you can do many activities over there! 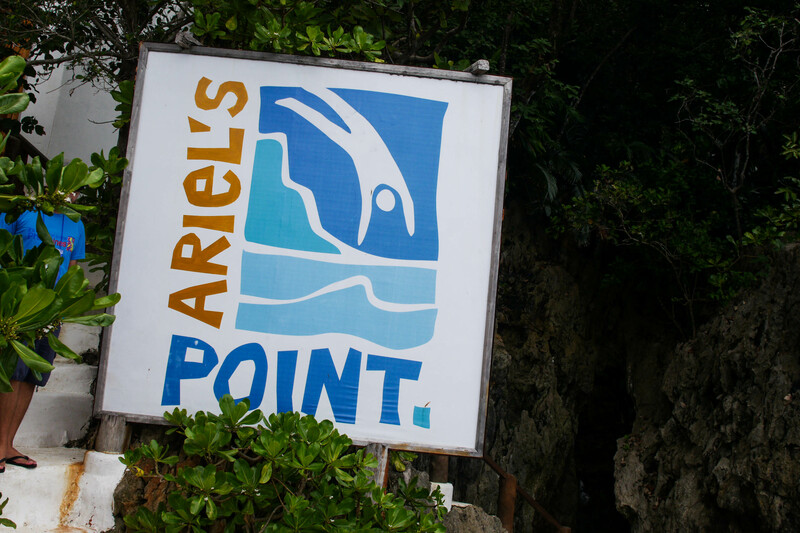 Read about my experiences at Ariel’s Point here. 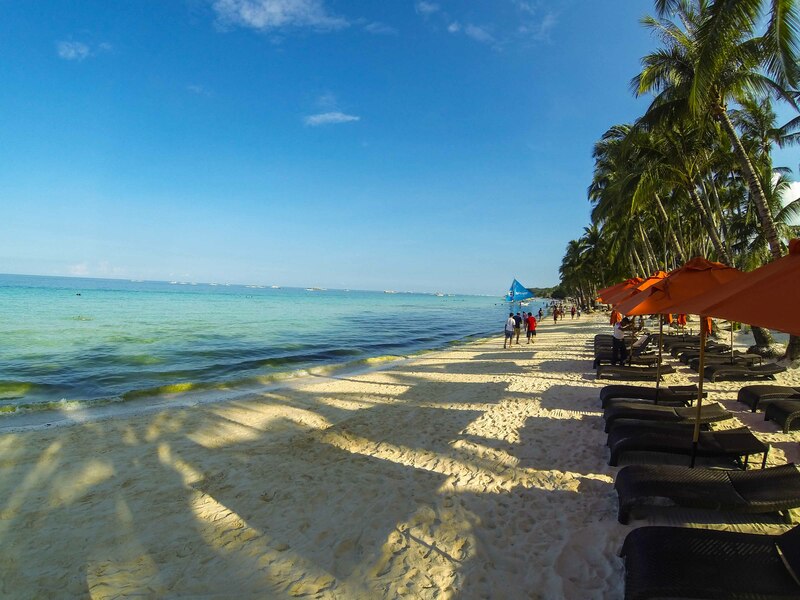 If you are not a fan of water sports or activities, you can take a good stroll along the white sandy beaches or take the sunset sail and admire the stunning Boracay sunset. 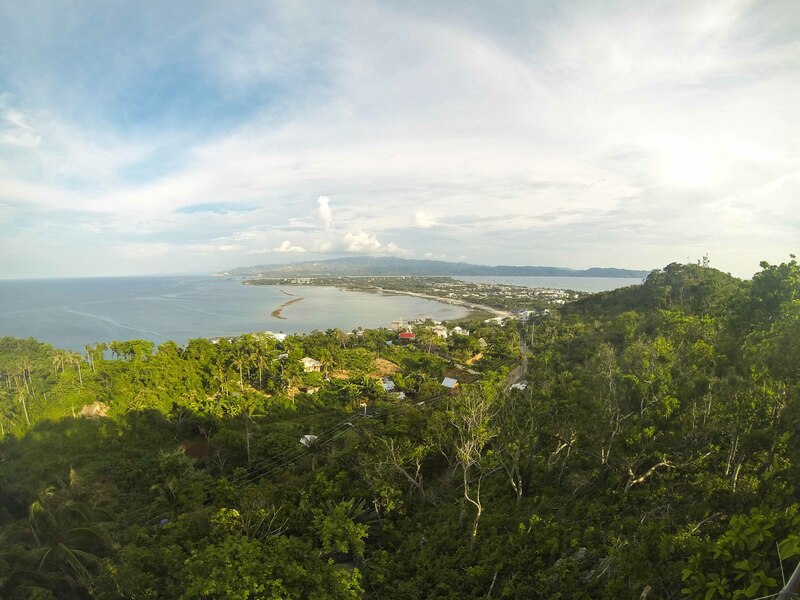 You can engage in some land adventures such as the ATV (All-Terrain-Vehicle) ride to Mt Luho – the highest point of Boracay where you can catch a complete view of the white beach. You can also visit D-Mall, a collection of 100 small tourist shops and restaurants that reach the back of the main road. 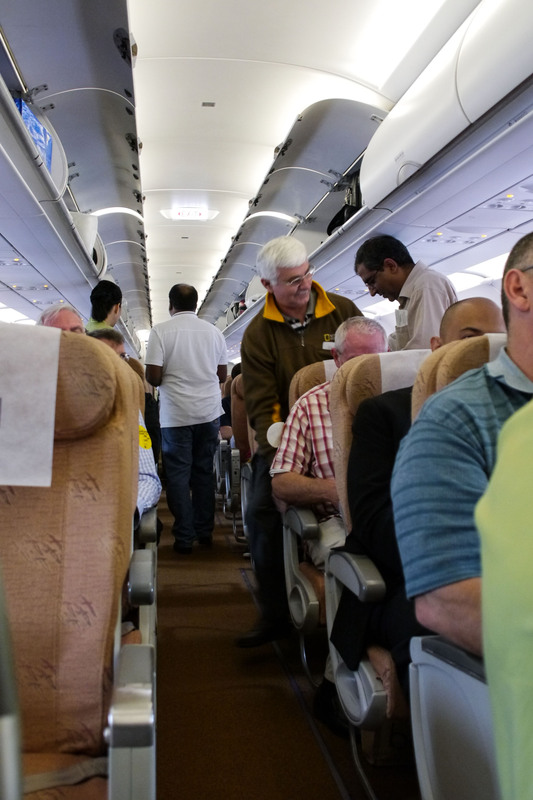 Be prepared to pay tourist prices and do not hesitate to haggle. 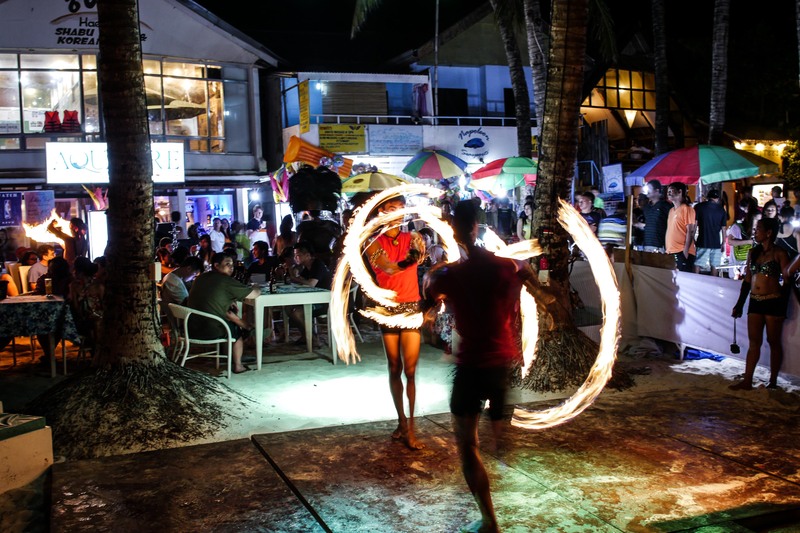 Nightlife in Boracay is pretty interesting. There are stretches of countless restaurants and bars along the beach. Enjoy your dinner with the heart pumping fire dance as the dancers come right up to you to perform fire spinning stuns over your head. 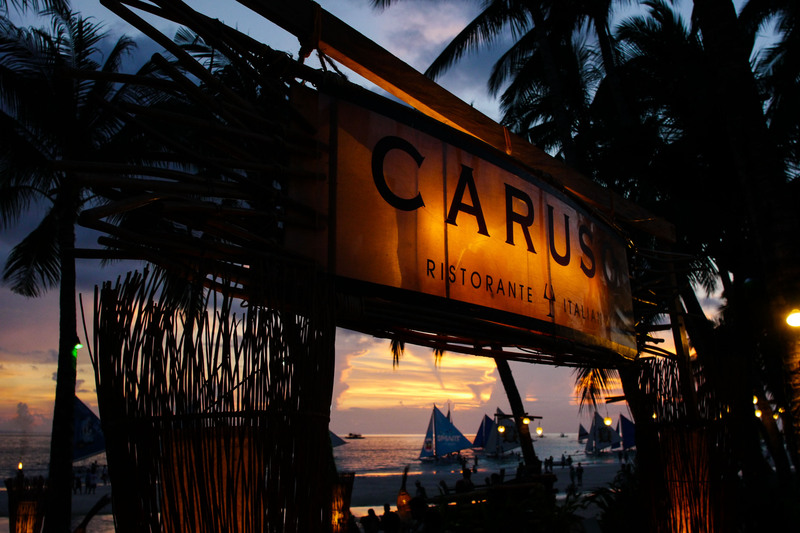 Boracay offers a wide array of food selection, ranging from street foods to upscale dining, catering to different kinds of travellers on the island. Cocktails and beers are available at many bars and restaurants for less than PHP 100, a nice complement to your sunset watching. Check out Jonah’s Fruitshake and Snack Bar for a wide variety of tasty milk shakes, prices are around PHP 90, depending on your selections. 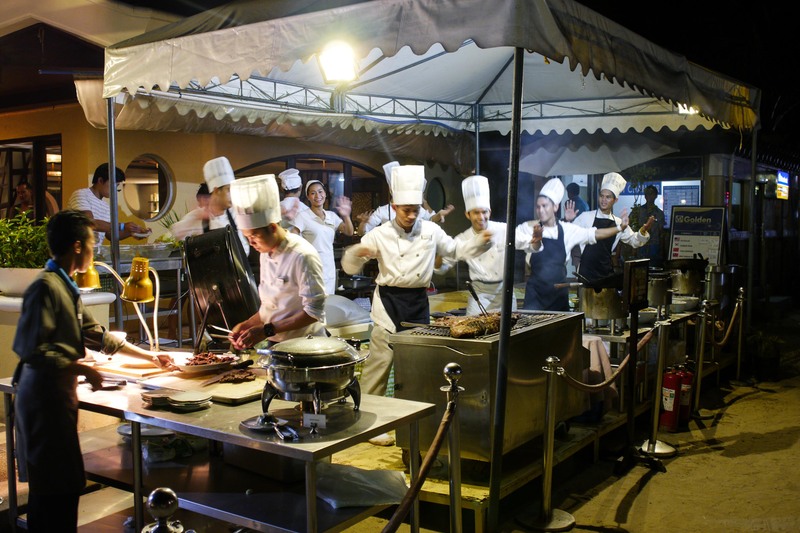 If you prefer a sumptuous dinner that indulges your taste buds, eyes and ears, do pay a visit to Boracay Regency, where the “dancing chefs” are. 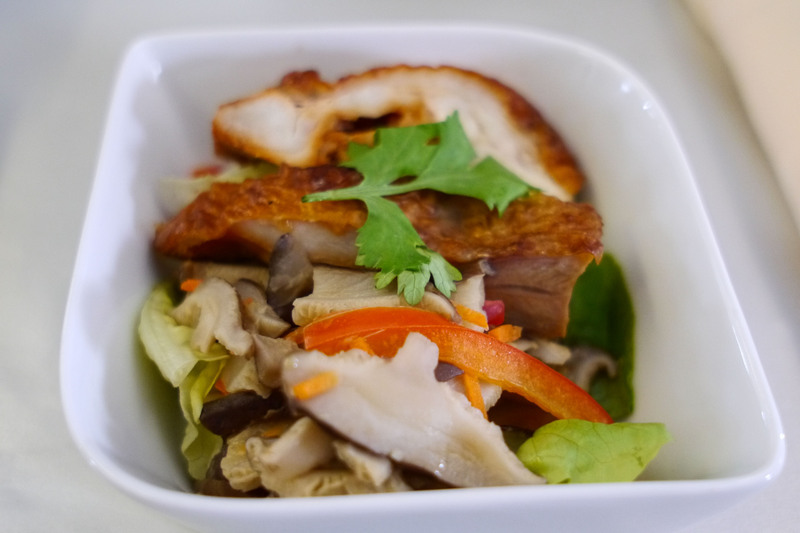 Your “dancing” food is cooked by the chefs while performing interesting dances. There are also many live bands that lighten up the mood, bringing dinner and food indulgence to another level altogether. 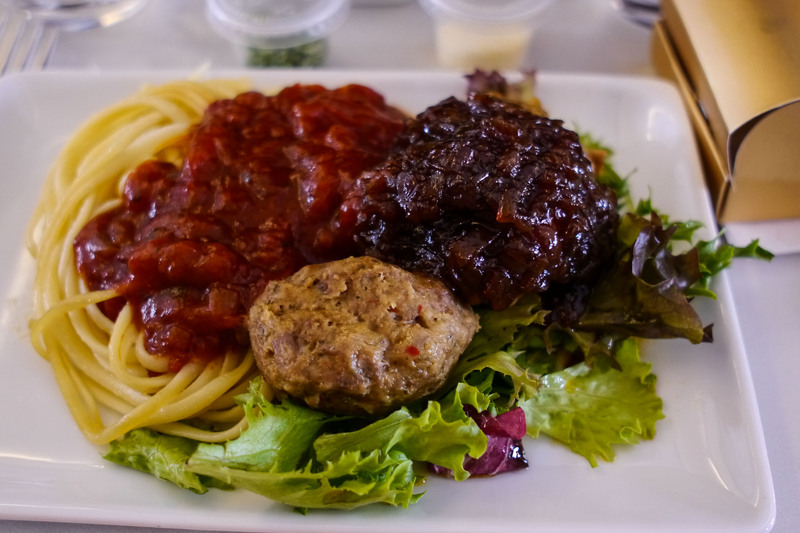 Decent meals at restaurants will set you back around PHP 100 to PHP 200 per dish. I recommend to try out the seafood feasts because those are fresh catches! If proper dinners are not your thing, you can always head out to the streets for some street snacks. Street foods can be found along the main road and little streets for around PHP 50. 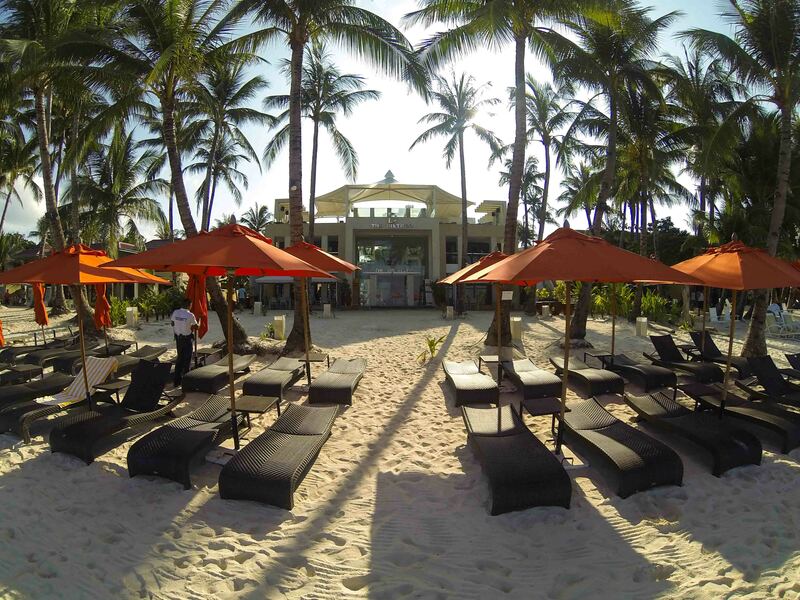 Overall, Boracay is an excellent option when you are looking at beach destinations for your vacations. Be it you are a backpacker, honeymooner or you are looking for a family getaway, it has got so much to offer for different categories of travelers. Be sure that you will be sun-kissed with lots of fun along the way! 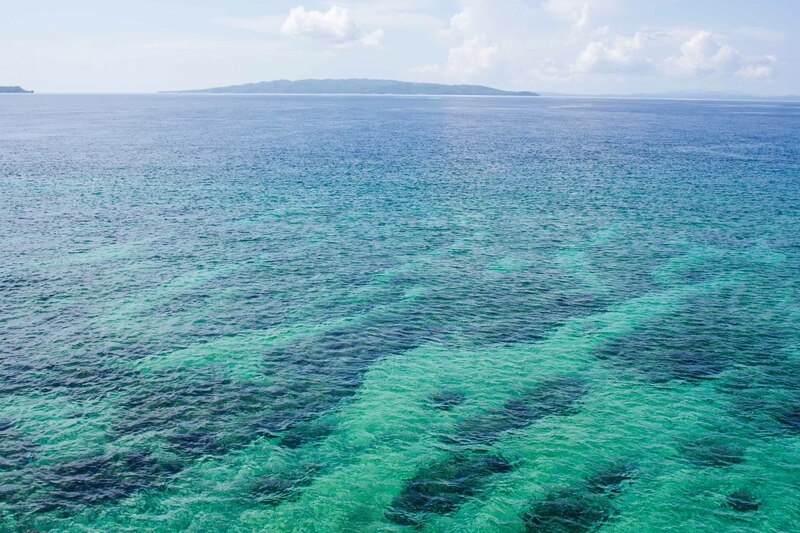 Ariel’s Point is featured recently in Cosmopolitan magazine as Boracay’s top attraction. It is the perfect daytime spot for adventure junkies. 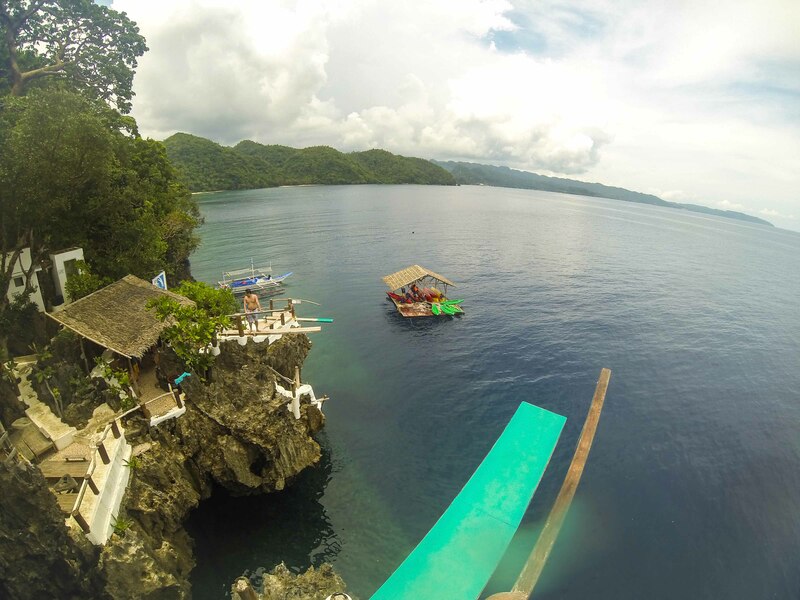 Packages starts from 1500PHP for unlimited cliff jumps, kayak, snorkeling, lunch and booze. You can spend the day there soaking in the sun and clear waters, it is a pretty good deal for that price. 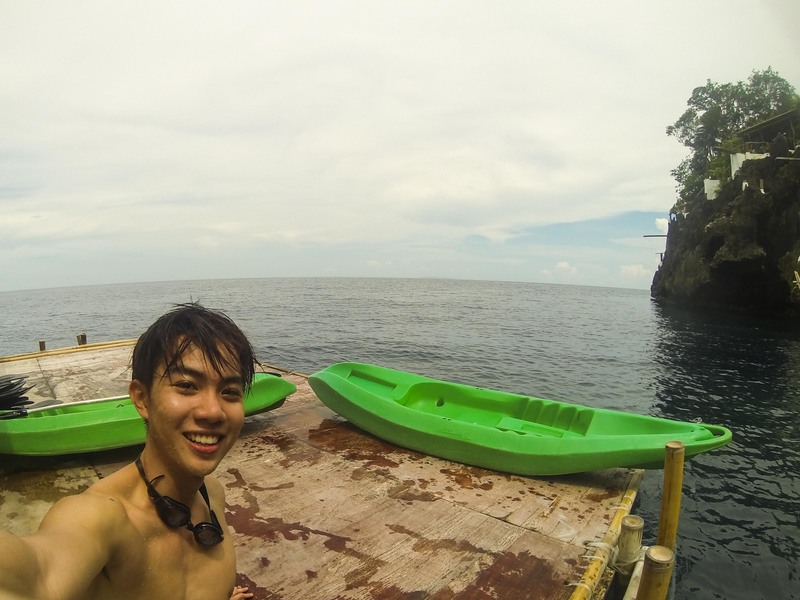 My trip there was unforgettable because it was my first time doing cliff jumping. Check out the Facebook page for pictures and updates. 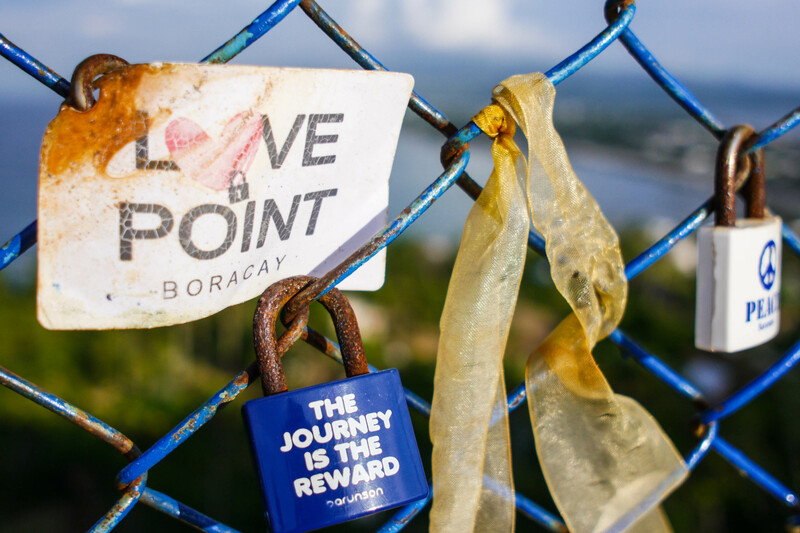 Packages can be purchased on Boracay island itself. 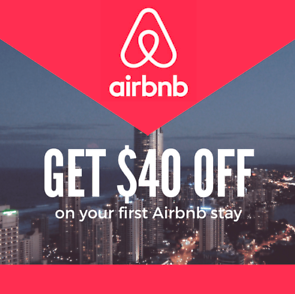 You need to book in advance, especially during the peak season from December to May. The boat ride from Boracay island to Ariel’s Point take about an hour or so. Plan your time well and make the most out of your time at Ariel’s Point. 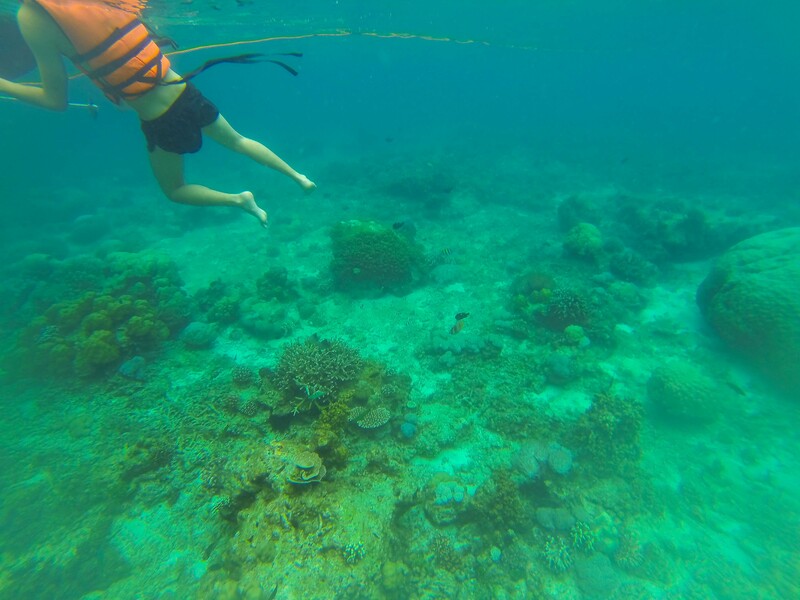 Most of my pictures are taken with GoPro Hero 3 with underwater housing. Here’s a video walk through of Ariel’s Point and how it looks like to be at the 15 meters (highest) platform. The volume is a little soft because of my underwater housing, tune up your volume. 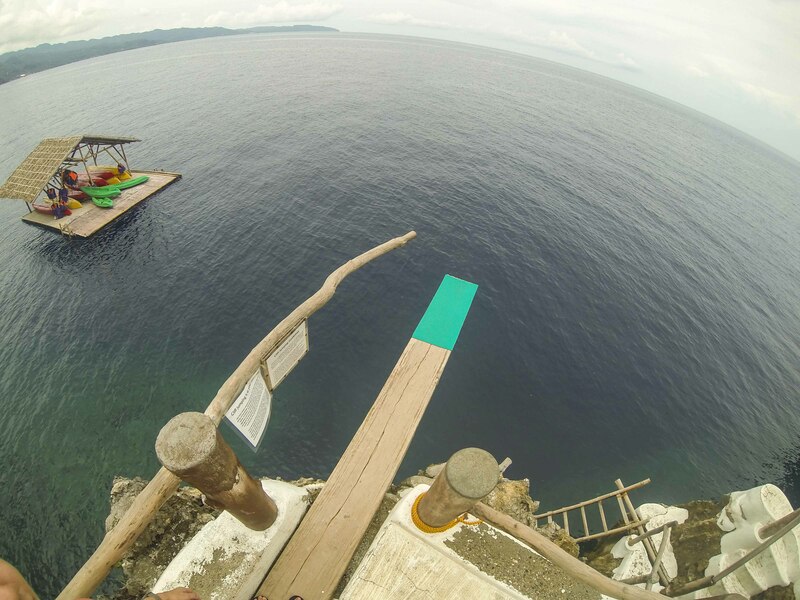 This is the 5 meters platform, you will feel the height at the edge! 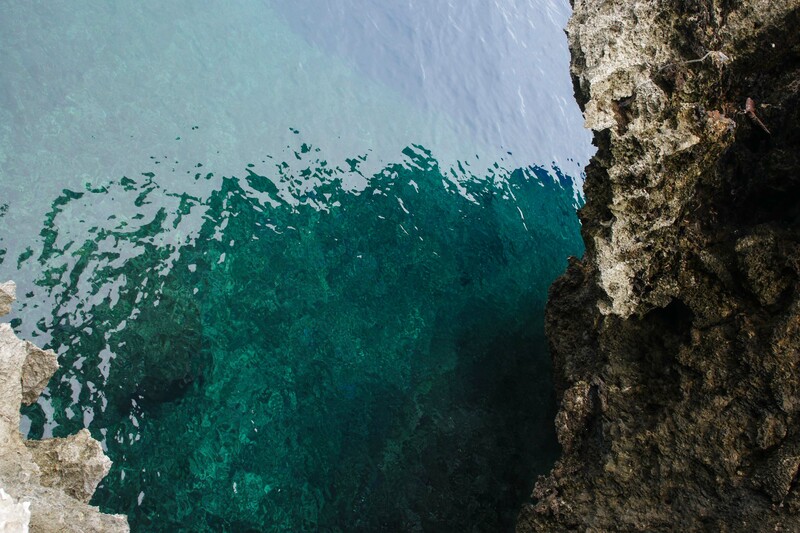 The clear waters looks tempting for you to jump straight into! 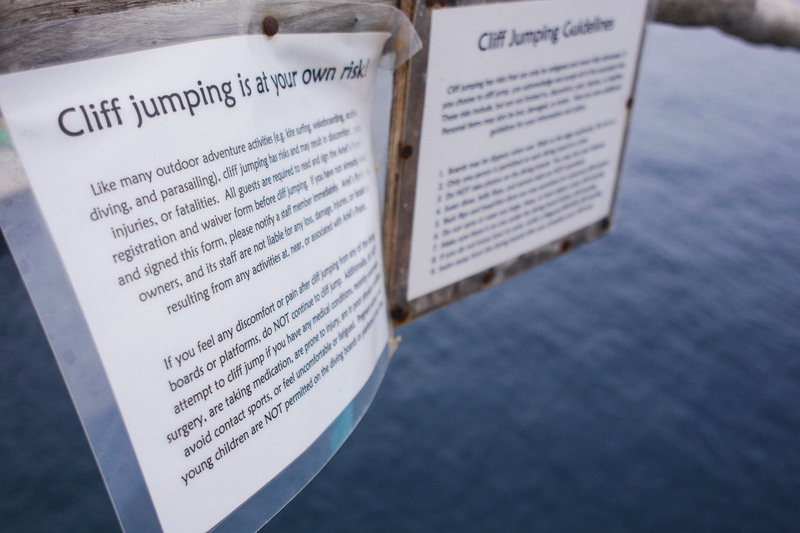 I had to think thrice before my first jump because I was freaked out at the edge. 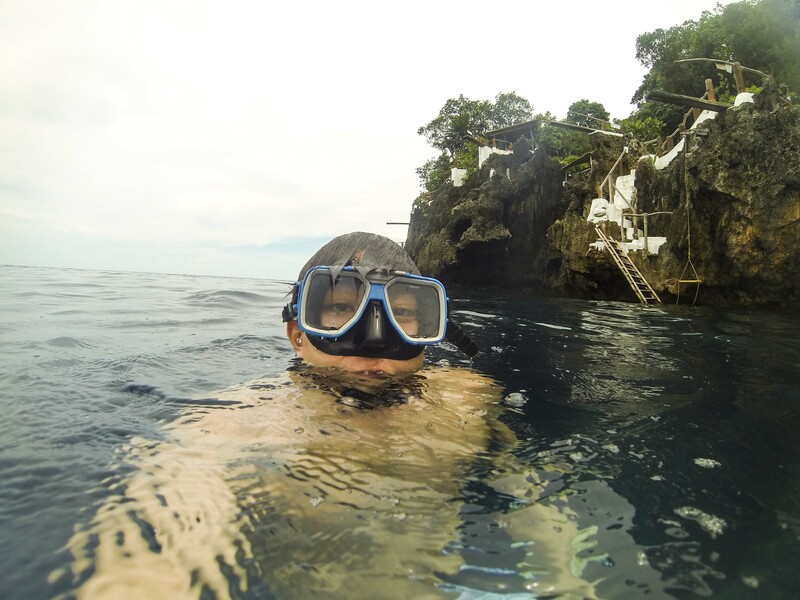 I got the salty sea water up my nose when I did the first jump, so pinch your nose when going down to prevent that. 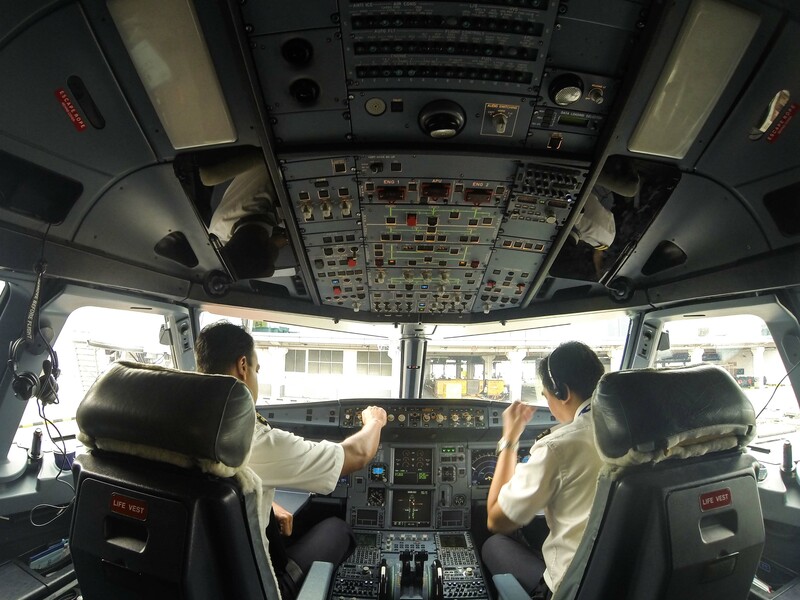 Try to land feet first straight into the water, otherwise you are going to feel the impact. Unless you are a professional diver who goes in head first. 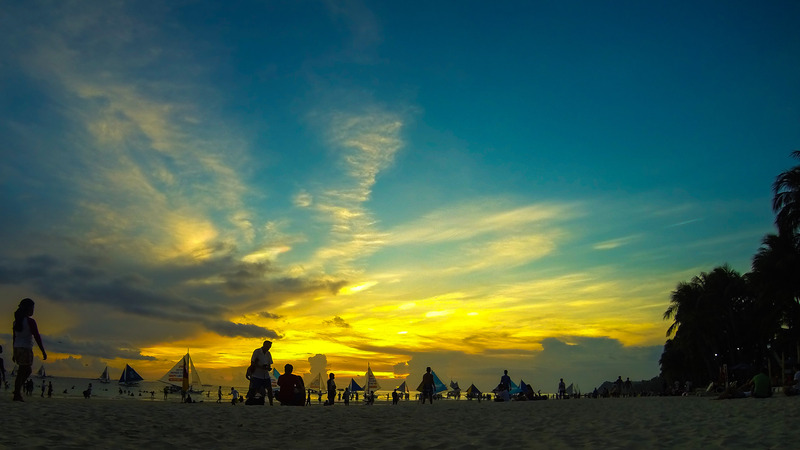 It’s time to pay Boracay a visit! 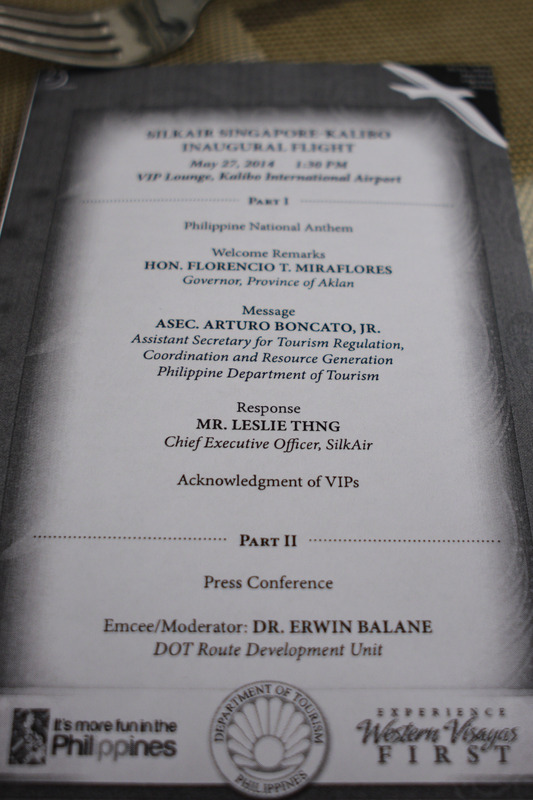 Check out SilkAir newly launched flights to Kalibo (Boracay).